Ever wonder why you don’t get noticed on LinkedIn? 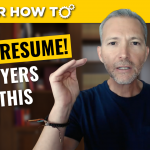 In this video, How to Get Recruiters to Notice You on LinkedIn, you’ll learn the proper set up and dynamic work you’ll need to do to be at the top of their search results! I break down exactly what you need to do—according to LinkedIn’s very own words—to shine so bright those employers and recruiters won’t be able to miss you if they tried! 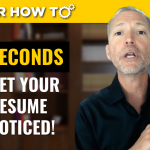 Join me for this video on how to get recruiters to notice you on LinkedIn! You’ll also learn why most tips you’ve been taught about LinkedIn will not lead to the results you want! First, you’re going to learn why everything you’ve been told regarding how to get noticed on LinkedIn isn’t working. 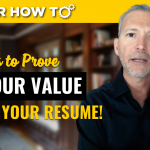 After we debunk those myths, I’ll teach you the static and dynamic tactics on how to get recruiters to notice you on LinkedIn. Hint: It’s not what you think. I’m sure you’ve been told keywords, headlines, skills, and a bunch of other stuff are what matter. While important to optimize your LinkedIn profile, that’s not what ultimately drives people’s to find you. LinkedIn even tells you this is the case, but no one seems to pay attention. 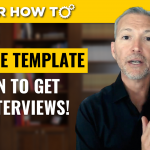 This entire video is filled with tips and how to create a great LinkedIn Profile, and, more importantly, it shows you what you need to do on an ongoing basis to be found! Tune in to find out what really matters in helping employers find you!